“As followers of Jesus Christ, our duration on this planet during our natural lifetime isn’t the whole picture of our existence. It’s just one pixel of the high definition, infinitely large picture of our eternal life and exciting existence with God in eternity. Today’s problems may seem overwhelmingly big, but when we keep the proper perspective on everything and compare those problems with the really big picture of our eternal life… well, we see our problems as they should be seen. Tools, Weapons, Skill Sets, Strategies… All of these have their place in our lives, and scripture teaches us that God trains us and anoints us for taking on various missions within our lifetime. Discipline, training, and perseverance are character builders and are central to the development of our maturity. However, our victories and successes are ultimately not due to our overwhelming intelligence or physical prowess. 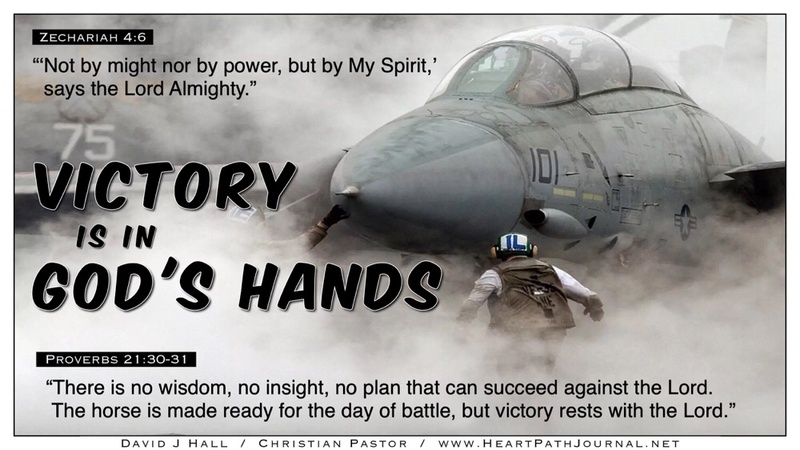 The most critical aspect of life’s challenges remains in God’s hands: Victory! When we see the enormity of an approaching trial and we feel the fear that is induced when we compare it with our own inadequacy in the natural realm, we can breathe deeply of the Spirit of Peace. 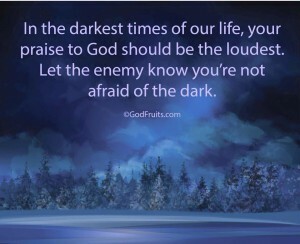 Let confidence flood our hearts because victory and success are already in God’s hands! Forget Yesterday’s Failures, Press On Today, Envision Tomorrow’s Victories! In the Athlete’s gym, disciplined body-training with perseverance turns today’s crushing weights into next year’s normal workout routine. In the Christian’s life, disciplined spirit-training with perseverance turns today’s crushing trials into next year’s routine challenges. 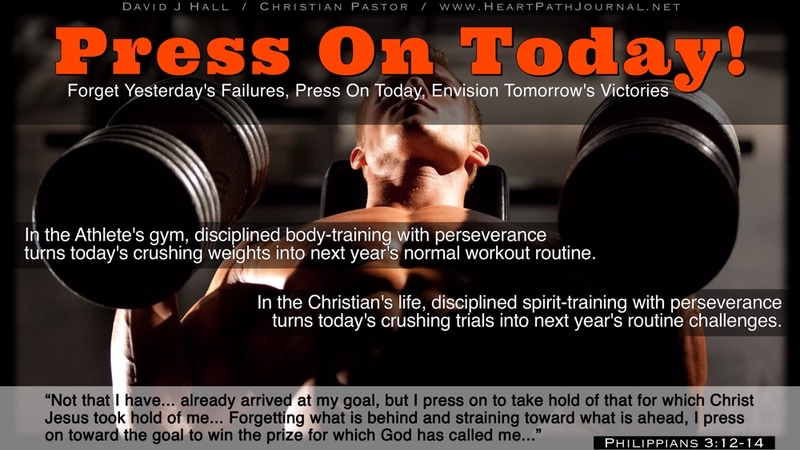 Press on today, my friend. God allows trials into our lives to serve as instruments for our character development, and as environments in which we can practice and learn how to walk in step with the Holy Spirit.